We enjoy every part of the process of creating new pieces from old. We have so much fun traveling around snapping up orphaned items -- frames, mirrors, windows, furniture - and imagining what it could become. It gets even more fun when we are presented with a client's needs. 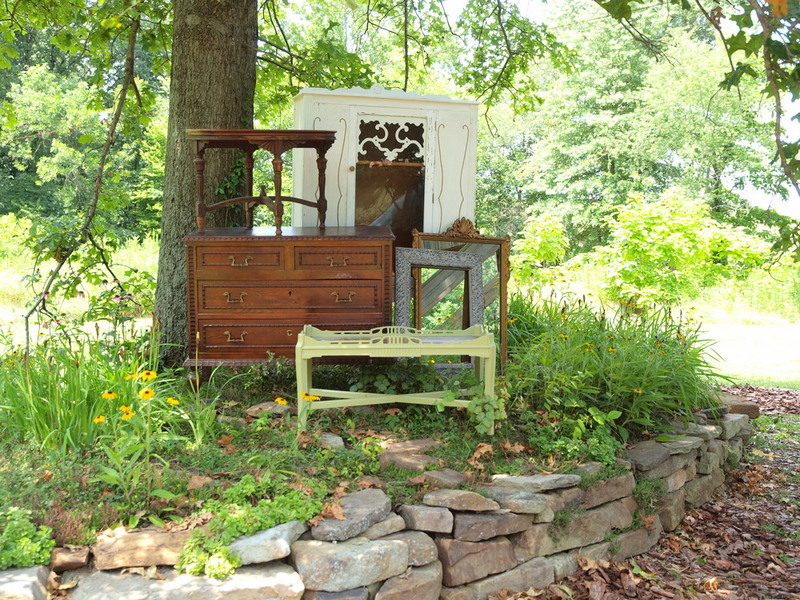 We begin with an item we hand pick from one of our "junking journeys" as we call them. Then we make any necessary repairs, reinforcements, or modifications to the structure and finish of the furniture or frame. Then the real fun begins. We decide which surfaces will be embellished with our custom-made clay tiles. Learn more about this process here. After creating and applying the tiles and hardware to our uncovered treasure, it is ready for a new home! Contact us to discuss one of the pieces you see posted here or let us know if you have a weathered treasure of your own you would like for us to give new life. We can customize it to suit you. See some transformations on our blog. 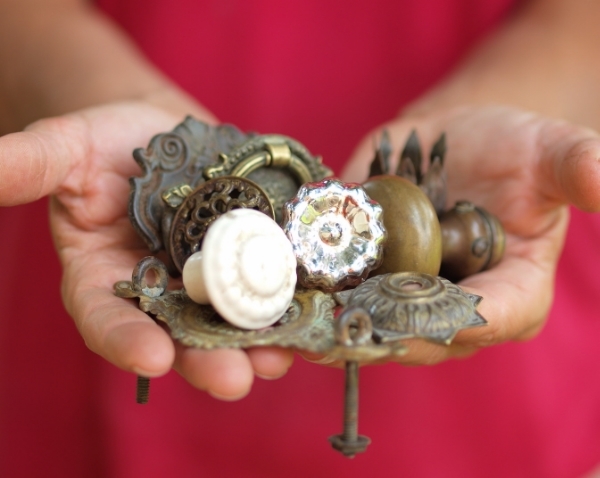 Here are a few wonderfully weathered items ready for a make over. Click here for individual photos.